The head of state of Libya will visit South Korea next week for a bilateral summit with President Moon Jae-in, Moon's presidential office Cheong Wa Dae said Friday. 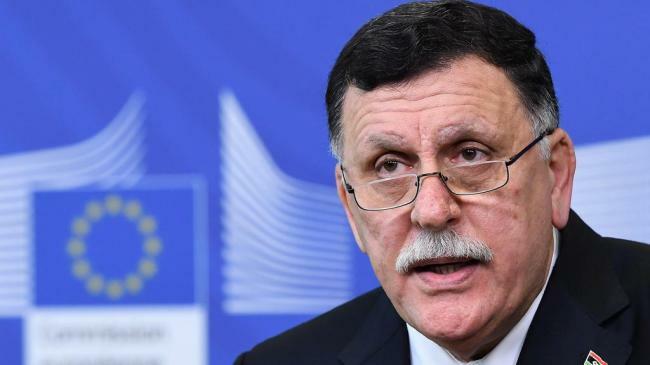 Fayez Mustafa Al-Sarraj will arrive in Seoul on Sunday on a three-day visit, becoming the first Libyan leader in history to visit South Korea, according to Cheong Wa Dae. The presidential office said the Moon-Sarraj meeting will also mark the first bilateral summit between the two countries without specifying the exact date for the meeting. Sarraj currently serves as the chairman of the Presidential Council of Libya and prime minister of the Government of National Accord. "The meeting is expected to be an important opportunity to develop South Korea-Libya relations through candid talks between the leaders," Cheong Wa Dae spokesman Kim Eui-kyeom said in a press release.